Can you confirm these amateur observations of Riama striata? 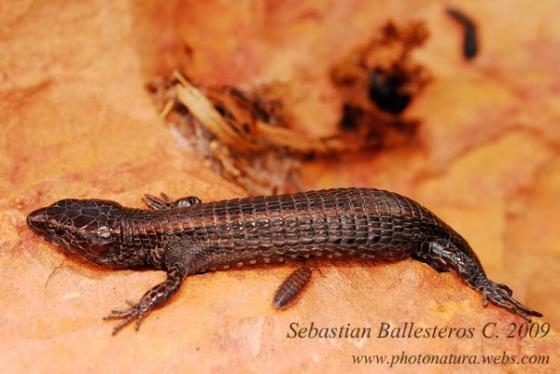 Type locality: “Neu-Granada .... Umgebung von Sta. Fé de Bogotá” [Cundinamarca, Colombia]. Comment BURT & BURT (1931) and DUNN (1944) synonymized P. bogotensis with P. striatus (Tiffany M. Doan and W. Schargel, pers. comm., paper not seen).